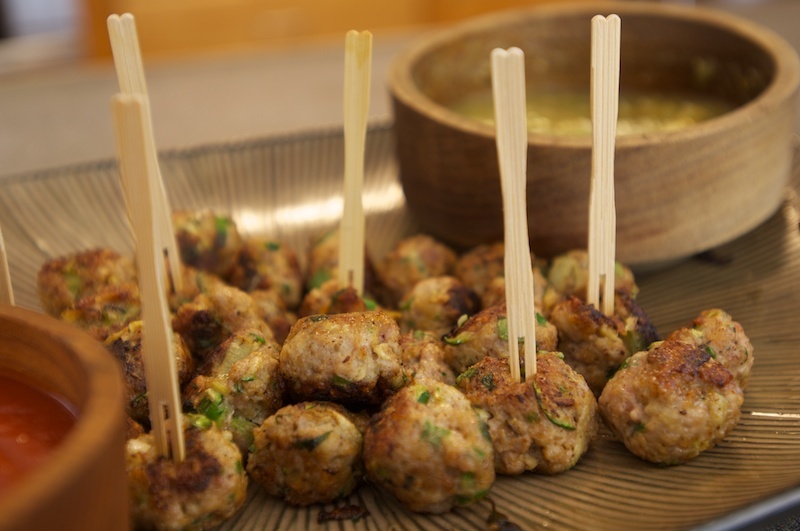 For the meatballs: In a large bowl, using very clean hands or a wooden spoon, mix all ingredients until blended. With moistened hands, roll into twenty 1 1/2 inch meatballs. Coat a large non-stick skillet with nonstick cooking spray. Heat over medium heat, add meatballs, increase heat to medium-high and cook, turning, 5 minutes, or until golden brown on all sides. Serve these saucy meatballs with rice or wrapped in a four tortilla with Mexican queso cheese as a sandwich. Combine all the sauce ingredients and heat through, keeping warm until needed. Soak bread in milk for 2 minutes. Squeeze out as much liquid as possible and shred the bread. Mix the meat, parsley and garlic, eggs, cheese and salt and pepper, blending well. 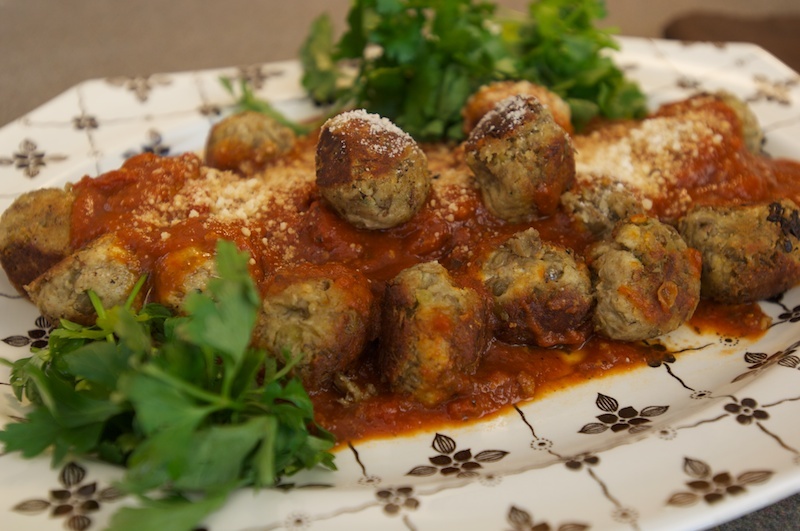 Shape into meatballs, make an indentation into center of meatball and place one small cube of cheese inside and seal. Roll in breadcrumbs. Fry meatballs in oil until browned. 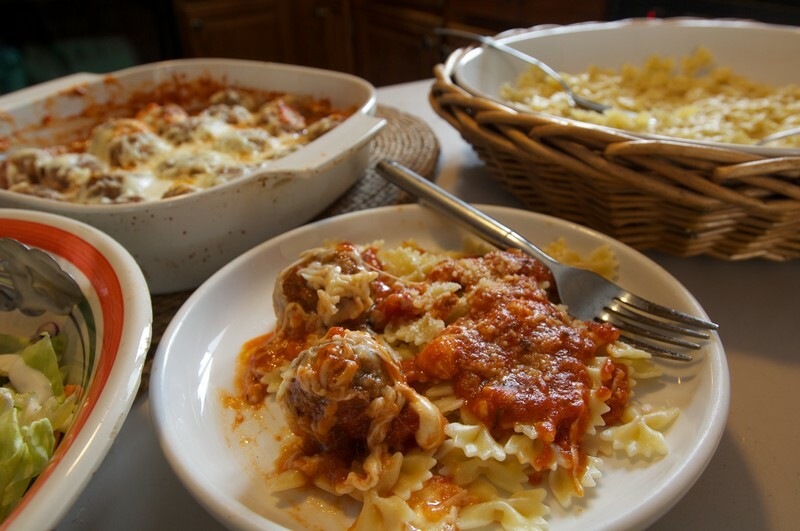 Place meatballs in a shallow baking dish which has approximately 2 cups of tomato sauce. Place 1-1/2 cups of shredded mozzarella on top and bake at 350 for 15-17 minutes or until down. Add all ingredients to a deep bowl. Mix very well, using hands or a wooden spoon. Cover and refrigerate for two hours or overnight. Do not skip this step! When ready to cook, shape mixture into 1 1/2 inch balls. Heat about 1/2 inch of the canola oil in a nonstick skillet over medium heat. Add the meatballs and cooked until browned on all sides, turning only once. Transfer to a paper towel-lined plate and let any extra oil drain off. Add to simmering marina if serving. 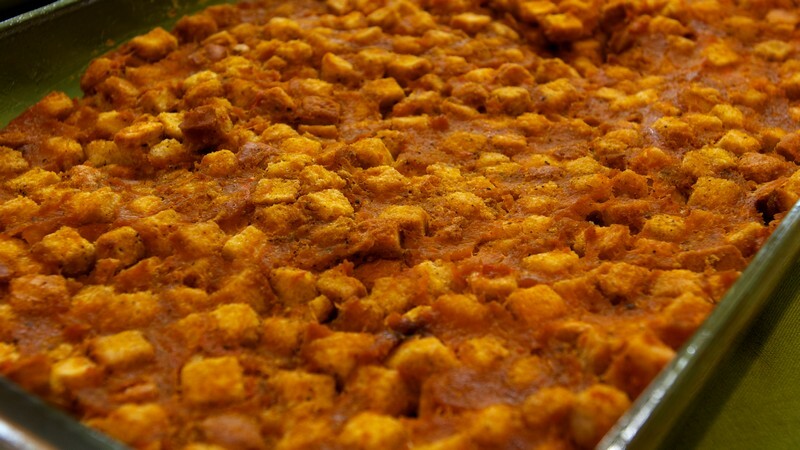 Serve immediately, or store the lentil meatballs UN SAUCED in a tightly covered container up to three days. Bowties for the Holidays and lots of nice colors. Bring 6 cups of water to a boil and season with salt. Add pasta and cook till tender, about 8-10 minutes. Drain. Pour pasta into a large bowl. Add the parsley pesto and toss. Add the beet vinaigrette and butter and toss to blend. 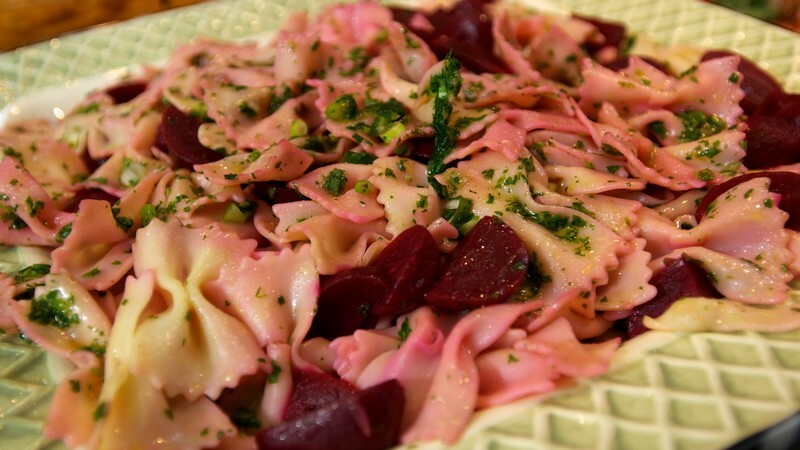 Arrange cooked beets on top and add the shaved parmesan and serve. 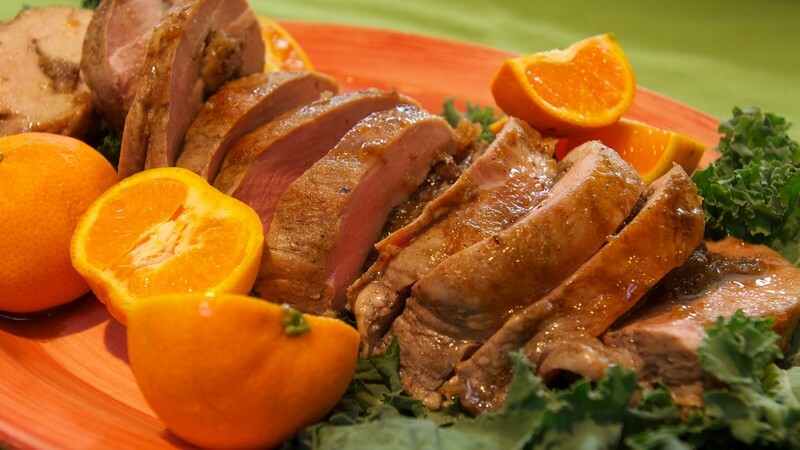 The addition of bread cubes makes this light and extra tasty! to taste and about 3/4 cup milk. about 2 cup cubed ham. 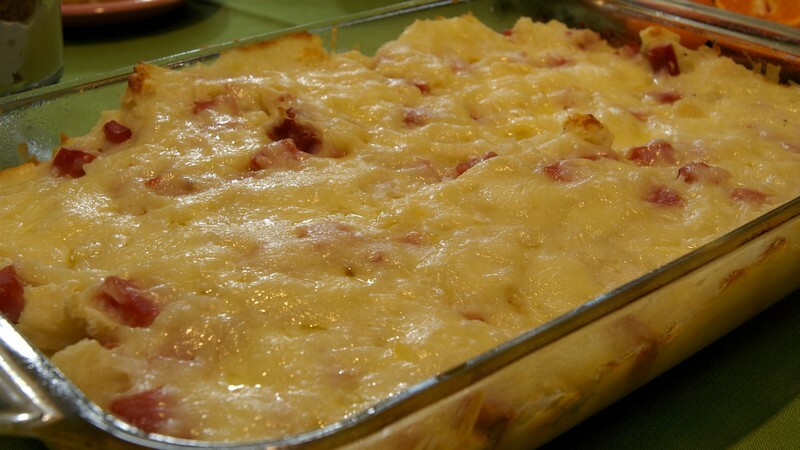 You can also add chopped chives or chopped crispy bacon to this casserole. Get imaginative! Enjoy! Looks as good as it tastes and you’ll want more than just one. Coat a 9×5 loaf pan with cooking spray. Place bowl over a pot of simmering water. Mix constantly for about 5 minutes until mixture thickens. Pour into another bowl and cover with plastic wrap and refrigerate. Cut gingerbread into small cubes. Layer gingerbread with the lemon curd and any fresh fruit of choice and whipped cream. You can sprinkle a lemon liquer over gingerbread if you wish. 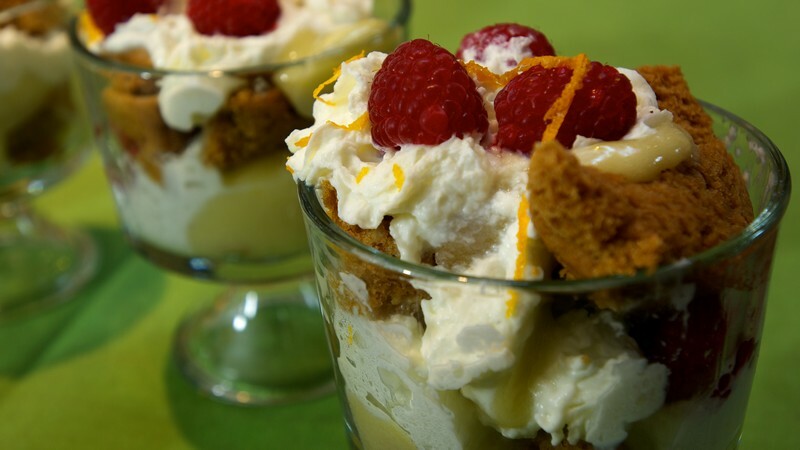 Top with a dollop of whipped cream, some fruit and some shavings of orange zest if desired. 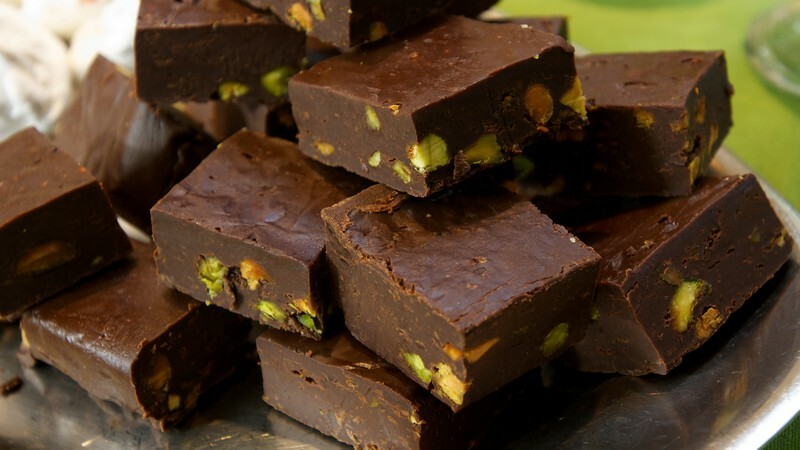 A dark brown with delightful pistatios and great flavor. Line an 8″ dish with foil and coat with non stick spray. Mix chocolates and milk in a double boiler (or a boil of simmering water) until chocolate melts. Remove from heat and add in vanilla and “add ins”. Pour into pan and refrigerator for at least 2 hours. Turn out upside down on a board, peel off foil and cut into pieces. Goes great with lots of other foods. Make sure you can easily get to a second or third helping. You’ll want them after you’ve tried just one. Preheat oven to 400 degrees. Heat wine, butter, sugar, and ¾ teaspoon salt in a medium saucepan over medium-high heat until butter melts. Remove from heat, and immediately stir in flour using a spoon. Cook over medium heat, stirring constantly, until mixture pulls away from the sides of the pot and a film forms over the bottom, about 3 minutes. Transfer dough to the bowl of a mixer and beat on medium speed until slightly cooled, about 1 minute. Beat in eggs, 1 at a time, then the cedar cheese and blue cheese. Spoon very small mounds of dough onto lined baking sheets. Brush with egg wash and sprinkle with Gruyere cheese. Bake for 10 minutes. 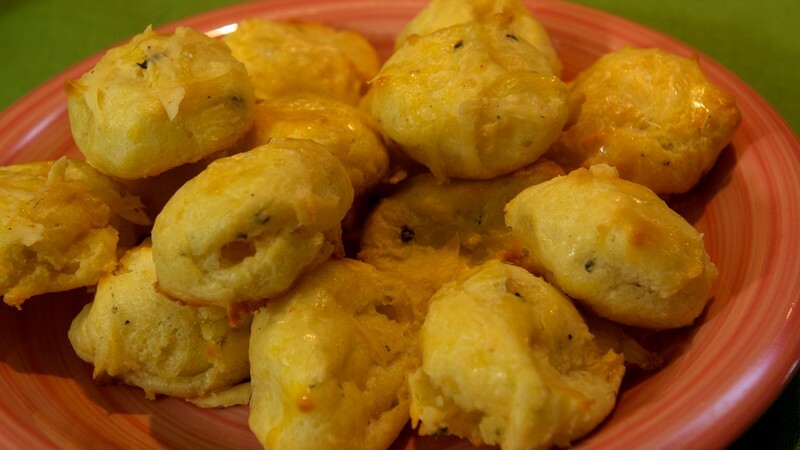 Reduce oven temperature to 350 degrees and continue to bake until gougeres are browned and cooked through, about 20 minute more. Serve warm or at room temperature. Super tasty and worth the effort to make. 1/2 cup, about 5 minutes. Remove from heat and set aside. Pulse apple mixture in a food processor or blender and fine but not a paste. Butterfly the pork roast and pound it until it is evenly flat, careful not to break through the meat. Season the pork inside with salt and pepper. Spread the filling on the flattened pork and roll up and tie with string. for about 45-60 minutes or until temperature reads 130-135 degrees. basting a few times. the rest of the marinade/glaze.